Autumn is the ideal time to install a low-maintenance artificial lawn. With the growing season coming to an end, it's easy to strip out your old lawn ready to lay artificial grass turf for a sensational all-year-round remodel for your garden. Autumn is the ideal time to get rid of that tired live lawn and install synthetic grass. This guarantees a mud-free winter for your garden and lets you lay the groundwork for next season's hard and soft landscaping. After a long hot summer, it can be a relief to put away the garden tools for another year. But if the prospect of the coming winter gives you the blues, how about adding some low maintenance greenery to spruce things up a bit? If you spent the long, hot summer struggling to keep your living lawn alive, you may be thinking of switching to artificial grass UK. Low-maintenance fake grass is sustainable and beautiful, but making the switch can seem like a big commitment. If you're not sure about faking it, then let these five unexpected health benefits change your mind. If you share your life with a faithful pooch, why haven't you made the switch to artificial grass? Canines absolutely love the fake green stuff because it is perfect for playtime all year round. Dogs don't know how easy it is to care for synthetic grass, but they do know it feels great to roll around on while they are waiting for a belly rub. Installing your artificial grass turf isn't a difficult job. But if you want to create a truly professional result, then you need to avoid these six common installation results. After all, you want a garden you can be proud of - not one that looks worse than it did before. Who says a small garden isn't big enough for a lawn? When you use artificial grass, you can enjoy that zing of green anywhere - even on a balcony! Low-maintenance synthetic grass is the perfect choice when space is tight and you want a suggestion of a lush green lawn. It's the perfect solution for fast privacy screening in the garden and gives your property instant kerb appeal. We're talking artificial boxwood hedging, the ideal fake greenery for your garden. Do you have difficulty getting out into the garden? You might want to consider replacing a muddy, uneven lawn with low-maintenance artificial grass. If an older relative with mobility issues lives with you, or a friend or family member uses a wheelchair, isn't it about time you created a garden everyone can use? Moving into a new home can be exhilarating, scary and exhausting, so the last thing you need is to have to start mowing the lawn and looking after the garden. What if the lawn that looked so good when you viewed the house three months ago is now threadbare and brown or the lawn that was supposed to be ready when you moved into your newbuild turns out to be a few tufts and some grass seed? Natural gardens are beautiful, aren't they? A peaceful oasis of green tranquillity, they offer shade in summer and nourishment for wildlife in winter. But if your garden is awash with weeds, has a muddy so-called lawn that just won't grow and a fence that's falling down, you might consider faking it. Have you been considering artificial grass but been told it's bad for kids and pets? There seem to be a few myths about laying a fake lawn in the UK that really need to be tackled. Here are the top five myths - busted! Synthetic grass is a great option for pet owners because it's so easy to maintain and eliminates muddy paws. A synthetic lawn is also ideal for female dogs, whose urine can discolour and even kill living grass. It won't stain on contact with pet urine but, after time, it can develop an unpleasant odour. For the first time ever, the final of the World Cup will be played on a hybrid pitch that's 95% natural grass and 5% Astro turf. Chelsea and the England team already use pitches with the same playing surface. If you struggle to get your patch of lawn looking good every summer, you may be considering artificial grass. But is a low-maintenance lawn best for you? If you love the smell of newly mown grass, then artificial grass turf might not be for you. We've taken a look at various scenarios to help you make up your mind. It's true - you can lay artificial grass just about anywhere, including on a deck or even on top of concrete or paving slabs. In fact, synthetic grass is the ideal way to bring some much-needed green to a boring paved garden or to create some clever design effects using artificial grass turf and paving slabs. Are you bored with your lawn and flower beds? Would you like to create more structure or screen your garden from prying eyes? Boxwood is a perennial favourite for adding real style to any garden, but buying established plants can be expensive, and that's before you start thinking about the upkeep. If you want all the benefits of box without having to water, feed and prune to keep it looking in the best possible shape, why not try artificial boxwood hedging? If you've made the decision to install artificial grass in your garden, you can look forward to years of low-maintenance enjoyment. However, once the installation is finished it's not unusual for your garden to be looking a little sorry for itself. Here's how you can add real style and functionality with great garden design. Is your dog a digger or does it love to bound around the garden? Whether it's a pampered pooch or large and lovely, there's an artificial grass that it'll love to play on. If you want to make your artificial grass lawn look as authentic as possible, then integrating it with beds and borders creates a fabulous effect. Not only will you bring new colours and scents into your garden, you'll also attract wildlife - giving your garden a lovely organic feel. One way to achieve that effect is to create a curvaceous lawn which creates a soft and appealing look. What’s the Difference Between Artificial Grass and Astro Turf? If you’re old enough to remember Astro turf, then you’ll probably assume that all artificial grass is bright green, scratchy and definitely fake-looking. Well, time and technology have moved on, and artificial grass is a world away from that product, now sporting a blend of colours that precisely mimics a living lawn with details like artificial thatch for authenticity. Do you love the look of decking paired with a fresh-mown lawn? It's a sensational pairing that can look amazing but can be tricky to keep looking good when you use live grass. If you have an urban garden, the chances are that you have at least one area of shade. Shade gardening can be tricky, especially if your lawn area is overshadowed, but you can create a cool green oasis with clever planting and synthetic grass. You can't chop down your neighbour's tree or move the position of your house, but you can follow these simple tips to create a stunning shade garden. Artificial boxwood hedging is a fantastic product whether you want to spruce up your cafe's kerb appeal or create a wow factor 'green wall' effect for your office lobby. But what happens when you complete your project and you still have artificial boxwood hedging leftover? Here are some clever crafty ideas to create fabulous projects with your left over hedging tiles. Synthetic grass has come a long way since it made its first appearance in the Houston Astrodome in the 1960s. Known as Astro Turf, this artificial playing surface has become so refined that now over 800 colleges in the US have an artificial pitch, extending their playing season. It's official. According to research, 48% of Britons blame the great British weather for their floundering lawns. Whether it's Beasts from the East bringing snow in springtime or torrential rains that turn our lawns into a mud bath, keeping living grass looking its best is getting harder and harder every year. As the weather begins to warm up, it's time to get out in your garden and do some spring cleaning. If your artificial lawn has been under snow or heavy rain for the last few months, then now's the time to do some maintenance on your synthetic grass turf. Do you love the smell of newly mown grass or would you be happy to get rid of the mower forever? Many homeowners are making the switch from living lawns to synthetic grass, because it looks great and because it doesn't hog scarce resources like the real thing can. Artificial boxwood hedging is the savvy choice when you want to give your office premises or cafe a professional yet welcoming appearance. There's no need to trim, feed or water your hedging, and because it's UV-treated it won't fade even in strong sunlight, so it keeps its good looks all year round. Whether you construct a green wall, spell out your company name in boxwood letters or create privacy hedging for your pavement seating, artificial boxwood hedging is flexible, versatile and good-looking. Since the introduction of Astroturf in the 1960s, artificial grass has been gaining traction not just for sports stadiums but also for the garden. Today more and more big brands and well-known companies are using artificial grass - in fact, you've probably walked over it without even realising! As the weather warms up and we prepare to spend more time outdoors, now's the time to think about ways to add a real wow factor to your garden. From feature seating to eye-catching colours, here are five of the best garden features that work brilliantly with your artificial grass. Artificial grass turf is one of the hottest trends in garden landscaping, but how much do you know about it? If you're thinking of installing a low-maintenance lawn, here are some fun facts you might not know about synthetic grass. Why Synthetic Grass Isn't Just for Dogs! There are all kinds of great reasons for replacing a living lawn with low-maintenance synthetic grass. It's tough and durable, and dog-owners love it because it's free draining and so easy to keep clean. But what about our cats? Will replacing the real thing with a beautiful fake be to their liking? Artificial boxwood hedging is a fast and cost-effective way to create a privacy screen or fence off a garden. It's also ideal for a cafe that wants to enclose its pavement space with style or a business that wants some unique self-promotion with a 'living' green logo. In fact, there are a myriad of ways that you can get creative with hedging that won't fade or need watering or trimming. But if you want to add some real impact to your artificial hedge, there's nothing better than adding lighting to your fences, hedges and logos. With spring just around the corner, it's time to think about sharpening the mower blades and strapping on the lawn spike shoes. The maintenance cycle of your living lawn is about to start again, which means endless hours of mowing, scarifying, feeding, weeding and watering. Or you could stop, say 'enough's enough', and invest in artificial grass. Artificial grass turf is a fantastic way to create a low-maintenance lawn garden quickly and easily. But rather than just replacing the lawn, why not try getting creative with your artificial turf? After all, because it never requires mowing, you can use it in ways that you could never use living grass to add some unusual features and visual interest in the garden. Where Can I Install Synthetic Grass? For most people, the choice to lay a synthetic grass lawn is all about replacing living grass with a low-maintenance alternative. But it might surprise you to know that artificial grass can be installed over a wide range of surfaces, making it the flexible way to landscape your garden. Artificial grass has been growing in popularity for some years, all thanks to the fact that it's quick and easy to lay a lush green lawn that's simple to maintain. Now artificial hedging - in particular, boxwood hedging - is also gaining in popularity. But what is it and what are the benefits for your garden? What Does the Future Hold for Artificial Grass in the UK? When Astroturf was first developed in the 1960s, it's unlikely that anyone thought that an innovative synthetic and natural grass mix would be in use for the World Cup final. But that's exactly what happened in the Sao Paulo stadium in 2014 - the pitch was injected with synthetic fibres which were then woven together with natural grass to create a turf that couldn't be damaged and was easy to maintain throughout the year. Dogs are a man's best friend, and as such they're pretty low-maintenance. Keep them supplied with food and water, give them a walk and let them play in the garden and they're happy as can be. But they're not your best friend when there are muddy paw prints all over the carpet or someone's shoes come in covered in doggy doo. When Is The Ideal Time to Install Artificial Grass Turf? Is your live lawn turf beginning to look tired and worn? Or are you simply fed up of trying to keep a weed-infested patch of grass looking like a lawn? If you're bored with watering and mowing, you may already be considering replacing your lawn with a low-maintenance, easy-care artificial alternative. But have you given any consideration to when might be the right time to make the switch? If you're making the switch to synthetic grass, you'll already know all about the benefits, especially if you're part of a busy family with children and pets. But if you want to make sure that your new lawn looks as beautiful as possible, you're going to need to measure up for the perfect fit. As artificial grass gains in popularity, the sight of artificial hedging is also becoming more popular for the same reasons - it's a low-maintenance way to add style to your property and never needs watering, fertilising or clipping. If you're thinking of investing in some instant boxwood hedging, here are some buying tips to consider. More and more people are switching to artificial grass in the UK because it's virtually impossible to tell a high-quality fake from the real thing. Since 2010, when the Chelsea Flower Show allowed the use of artificial grass in show gardens, faking it has become the way forward for reluctant gardeners across the UK. If you want to get the very best out of your artificial grass, keeping it looking its best and extending its lifespan, then you'll need to show your faux lawn some TLC. Here are our top tips for keeping your lawn looking its best all year round. Is Grass Turf the Right Choice for Your Rooftop Garden? A green roof has several advantages for the sustainable home, but sometimes real grass turf can be too heavy for a lightweight roof installation. That's when you need to install artificial grass and enjoy all the benefits of a green rooftop oasis in no time. Hosting your wedding reception at home is becoming more and more popular. It's much more intimate and friendly than hiring a venue and more cost-effective too. However, it can play havoc with your lawn, particularly if it's not healthy and well kept. Time to invest in a synthetic grass lawn that will look great as your guests mingle and enjoy themselves. The British love affair with decking started during the 1990s when Ground Force first made it popular, and it's been going strong ever since. Stepping out on to a raised deck can be a great way to spend more time outdoors eating and drinking as well as catching a few rays, and our love of the outdoor life as the climate gets warmer shows no signs of stopping. The obvious benefits of using synthetic grass in the garden - low maintenance, no mowing and huge savings on your water bills - are available to everyone. But if you have mobility issues, or you suffer with allergies, then there are some unexpected benefits to synthetic grass that make it the ideal choice for your garden. Boxwood hedging has long been used in formal and stately gardens. In fact, it was first used by the ancient Egyptians before its use spread to the Greeks and Romans. The British took box to America in the 1650s, and there are many boxwood hedges around the world that are around 200 years old. But why is boxwood such a design staple? According to a new report from the Royal Horticultural Society, the UK could soon follow the US by adopting artificial lawns as weather conditions become more extreme. So could the trend for artificial grass in the UK one day match America, where the market is growing steadily by 15% a year and many colleges play sports on artificial turf? Why do I need to brush Artificial Grass upon installation? Now that the long summer holidays are here, it's time to get your children out in the garden. And when the weather's good, that's exactly where they want to be. So, what if you could create the ideal outdoor space that was safe, low-maintenance and mud-free? What you need is artificial grass. Artificial grass in the UK is on a roll - literally. The incredibly lifelike outdoor carpet has become the must-have for the well-dressed garden thanks to all the many benefits that an artificial lawn delivers. According to the Royal Horticultural Society, most lawns need four to six hours of direct sunlight a day to flourish and grow strong. Any less than that and your turf can deteriorate and become prone to disease. Grass becomes patchy and sparse, and what started as a lawn starts looking very sorry for itself indeed. Is there anything better than long summer evenings filled with barbecues, friends and maybe even a little romance? Unwinding in the garden after a long day at work is the perfect way to relax and enjoy good company and great food and drink. Unfortunately, it's also the time of year when your lawn can end up looking the worse for wear, so maybe it's time to consider artificial grass turf and give your garden some summer lovin'. If you need an instant privacy screen or want to add some greenery to an inner-city balcony or roof, then artificial hedge is the perfect solution. There are any number of benefits to be had from using artificial greenery in a domestic and business setting, but it isn't just attractive and low-maintenance: it can actually save you money too! If you already have an artificial lawn that you love for all the benefits it brings, then the chances are you've thought about increasing the area of lawn in your garden. After all, when an artificial lawn is so low-maintenance yet feels so good underfoot, you want more and not less. One of the most attractive things about installing artificial grass in the UK is that it's so low-maintenance, saving you time and money. However, low maintenance doesn't equal no maintenance, so follow these handy tips to keep your newly laid artificial lawn looking its best. Summer's nearly here, and with it those long afternoons in the garden. From paddling pools to summer fun and games, your lawn can suffer some damage in the summertime - and if there's a heatwave and a hosepipe ban, then you may not have a lawn at all. That's where artificial grass can be a real lifesaver, as it keeps its good looks no matter what the weather does. Gardening in the shade, whether it's because of trees or buildings or the orientatiMany plants struggle with the lack of sunlight, and trying to produce a beautiful lawn can be an impossibility. Here are five great tips for gardening in the shade to create a garden you'll love to relax inon of your house, can be a real challenge. The 'green wall' phenomenon has swept across the globe in recent years, and it's easy to see why. A green wall can transform even the tiniest garden or balcony - or even an indoor space - into a beautiful oasis. If you're attracted by the obvious benefits of an easy-care and beautiful artificial lawn, then you'll be joining the growing number of celebrities and top footballers who already enjoy the benefits of Astroturf in their gardens. If you've been watching Crufts, you'll know that the show rings all use artificial grass because dogs love it! But apart from dog shows and sports pitches, there are plenty of wild and wonderful ways to use artificial grass - not just in your garden. Here are five of the best. Spring is the perfect time to think about sprucing up your garden for the long and lazy days of summer. It's easy to ignore the garden in the winter when it's cold, wet and muddy, but once the sun starts to shine it's time to get spring-cleaning. A garden is one of the top three must-haves for any house hunter, but what if yours is looking a little the worse for wear? Try faking it with Astro turf for an instant lawn that's a real selling point. Even property expert Phil Spencer recommends artificial grass for sprucing up a garden in a hurry. If your neighbour has a penchant for gnomes or they use their garden to work on their not-so-classic car collection, then you're probably tearing your hair out trying to screen it from view. Even the dreaded Leylandii, which typically grows around two feet a year, won't do the job fast enough. You need an artificial hedge. It might surprise you, but more and more schools are using artificial turf to create fun, safe and child-friendly play areas. One of the key selling points for installing artificial hedging is that it's maintenance-free - no secateurs, watering or fertiliser required. Artificial greenery will keep its colour thanks to its UV treatment and will keep looking good year after year. If you're a keen gardener who loves the challenge of creating award-winning designs and show-stopping borders, it might be time to think about laying artificial grass. By letting the lawn take care of itself, you can focus on concentrating time and resources on the plants that matter to you. There are so many ways you can completely change the look of your garden with artificial grass. But did you know it's a great way to create a truly pet-friendly environment? If kids and pets share the same patch of lawn, then it makes sense to create a separate easy-hose dog area. Love the Look of Boxwood Hedging? Then Fake It! Boxwood hedging is one of the most versatile shrubs in the garden. You can use it to create a formal hedge, a border or topiary shapes like balls and pyramids to create accents in the garden. An artificial hedge can make a rapid and effective privacy screen in any garden. Good-looking, long-lasting and UV-resistant, your evergreen hedge will stay just that. Is your small family garden lacking in inspiration? Too shady for grass, but slabs just aren't practical with animals and kids? Then let artificial grass be your inspiration for a fun space to relax, play and entertain in. Lawns can look lovely, but they're also time-consuming and high-maintenance. If you're looking to replace your turf with low-maintenance artificial grass, here's our handy buyer's guide to making the right decision first time. When you spend your days out at work and your evenings ferrying the kids from after-school club to football practice or dance class, there’s precious little time to kick back and relax, let alone keep the garden lawn looking its best. How Easy Is It to Install Boxwood Hedging? Maybe you've been planning to replace that worn-out old fence at the bottom of the garden, or perhaps you hate the sight of the ugly concrete wall surrounding your business premises. Whether you are the coach of a five-a-side football team or play hockey in a local team, you will no doubt be aware of the drawbacks of playing sport on a real grass field. If your lawn has seen better days - maybe it's full of weeds, moss and bare patches, or perhaps there are dead areas where last summer's paddling pool was kept - you may be considering laying artificial grass. The benefits of having an artificial hedge are well documented: they never need pruning, so are extremely low-maintenance; they always look good, never shedding leaves or losing their shape; and, of course, they don't grow, so stay the correct height forever. Should Pet Owners Lay Artificial Grass Turf? If you're a pet owner, you can be forgiven for thinking artificial grass turf will never have a place in your garden. Many people mistakenly believe that their pets would dislike the feel, smell or texture of synthetic grass turf, so they dismiss it out of hand when considering home improvements. And as our pets are part of the family, they deserve consideration just as much as everyone else in the household. Grass Turf on TV: Is It Real or Artificial? Whether it's the perfect bikini body or irresistible holiday locations, critics are quick to point out that things on TV might not always be what they seem. But the list goes beyond waistlines. Many people who aspire to have the perfect lawn are surprised to find out that the amazing lawns featured in films and television shows usually aren't real either. Why on Earth Would I Buy Artificial Boxwood Hedging? You've probably seen synthetic grass in many places: in your neighbour's garden, acting as a durable playground for their kids; at corporate events to stop ground getting muddy; and in sports center’s for playing five-a-side. Which Type of Synthetic Grass Is Best for Your Needs? There are as many reasons why people choose artificial grass as there are types of grass. There are plenty of occasions when hiring fake grass makes a huge amount of sense. If you're in charge of organising a big event such as a dream wedding or trade fair, the last thing you want is for your guests to get bogged down in mud. The main attraction of artificial grass is that it is low-maintenance. Once it's correctly laid, preferably by professionals, there is no need to dig the lawnmower out of the shed ever again. No need to trim the edges; no hay fever from the cuttings; and no need to water it in the summer months. As an ecological forecaster working with the NASA space programme in the USA, Cristina Milesi doesn't have time to do much gardening. She has two young children, neither of whom are old enough to lend a hand. Besides, in her free time, she'd rather be playing with them than making them help her tend the lawn in their back garden. Which Big Sports Venues Use Artificial Grass in the UK? Sometimes it's very hard to spot the difference between natural and artificial grass. Some artificial blades are created to look exactly like real grass, even down to the slightly yellowing tint that comes in high summer. And some real grass is so green and so lush it can be mistaken as artificial. What's more, different sporting venues have different reasons for using real or artificial grass in the UK. Do you know which is which? Traditional garden hedges have been used for centuries to create designs in gardens, to allow for privacy and to offer natural shading in hot weather. Artificial hedges can do all these things and more. Think of them as having all of the benefits with none of the hassle and maintenance. What Do the Artificial Grass Reviews Say? A beautiful lawn is a thing of wonder, but getting the desired look isn't as straightforward as it would seem. Many British gardeners and homeowners spend hours and hours on their lawn and are still not satisfied with the results. If you are tired of mowing, seeding and fertilising your lawn, or if you have children, pets or high-traffic areas, the artificial grass reviews agree that an artificial lawn could be right for you. How Do You Use Artificial Boxwood Hedging? Boxwood hedging is the traditional hedging which we most associate with stately homes and formal gardens. Should You Consider Artificial Grass over Grass Turf? The first obvious advantage of artificial grass is that it does not require watering, something you will have to dedicate regular time to if you lay new grass turf. Asked for advice on how to lay Astroturf, experts agree that preparing your garden is the crucial first step. Begin by removing any existing turf from your garden with either a turf cutter, if you have a large area, or a spade. As with all relatively new products, it can be confusing to know what to look for and which artificial hedge product is right for your needs. The first thing to decide is what you want to achieve. The Benefits Of Using Boxwood Hedging To Frame A Garden. Box, or Buxus Sempervirens to give it its proper title, is one of the oldest ornamental plants in England. Fossilised remains of Buxus plants date back to more than 22 million years ago, and it is known that both ancient Egyptians and the Romans used them as decorative plants in their gardens. Whether you want to cover unsightly walls, create a free-standing hedge or simply want instant screening, artificial boxwood hedges could be the solution. Although laying artificial grass is a fairly straightforward procedure, it's important that you know what you're doing to ensure the best results. If you decide to install artificial grass yourself, here are some of the most common mistakes to avoid. Installing an artificial hedge is a great low-maintenance way to improve a property. Like many things in life, however, getting your new hedge just perfect requires a bit of thought and planning. Some of the key things you might like to think about in this regard include the following. Buying products online is both convenient and affordable, but you do lose the opportunity to actually see and feel the product before deciding whether you want it. 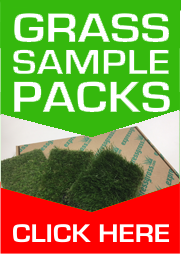 When it comes to artificial grass, our recommended method of bypassing this is simply to request samples of the different types on offer. Artificial boxwood hedging is a popular landscaping solution and a great way to create the effect of topiary without the difficulty and maintenance. However, many people are unsure about what the installation process involves and how much of a challenge it can be, and this puts them off of the idea unnecessarily. Here are the answers to some common questions.